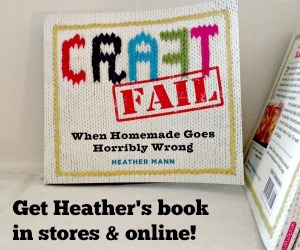 I love to craft with burlap. It’s so plain and simple yet versatile, like a good pair of jeans. 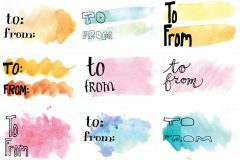 You can dress it up or tone it down by pairing it with different craft supplies. 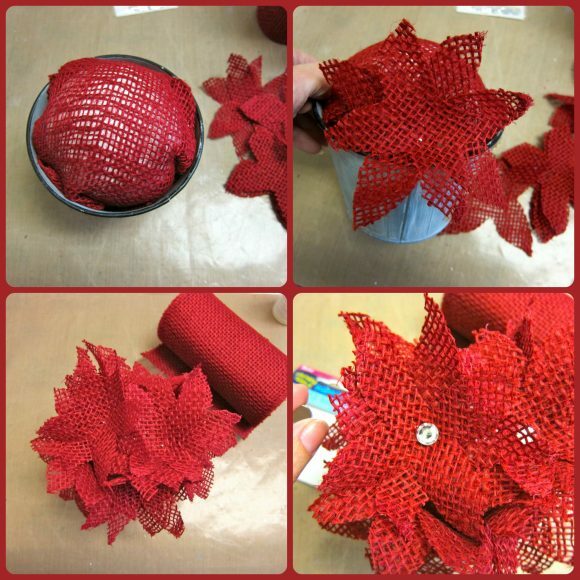 With this project, I used colorful red burlap and added a little bling to make a pretty centerpiece for the holidays. Step one: Cut the burlap into three inch squares. Step two: Fold the burlap square in half twice. Hold the folded corner and trim the edges off. 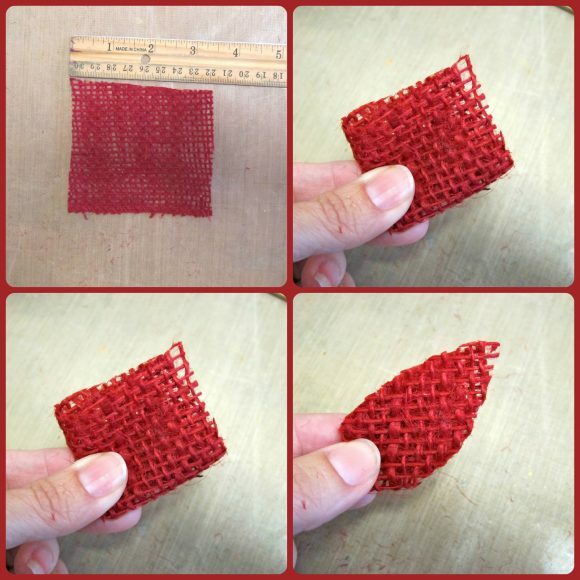 For more detailed cutting instructions, see this post. 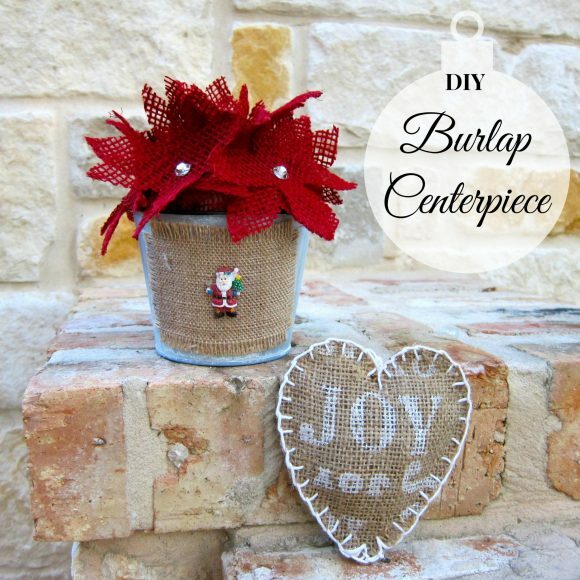 Step three: Wrap the styrofoam ball with burlap and place it in the pail. Step four: Layer two flowers together, and pin them onto the styrofoam ball. Step five: Glue a rhinestone to the center of each flower. 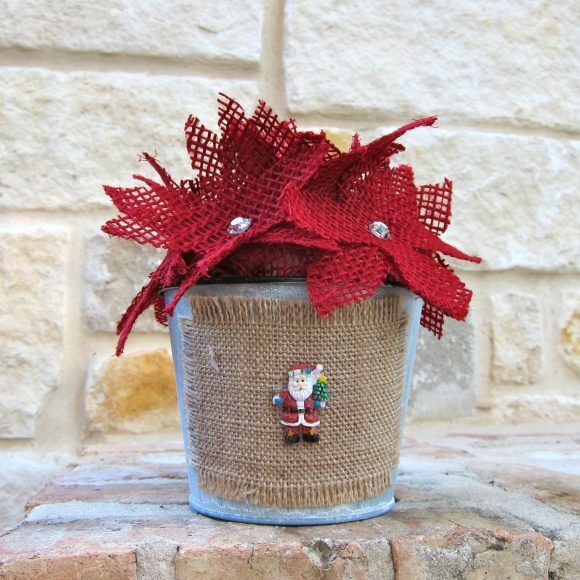 I embellished my pail a bit by adding a mini Santa ornament to the front of it. 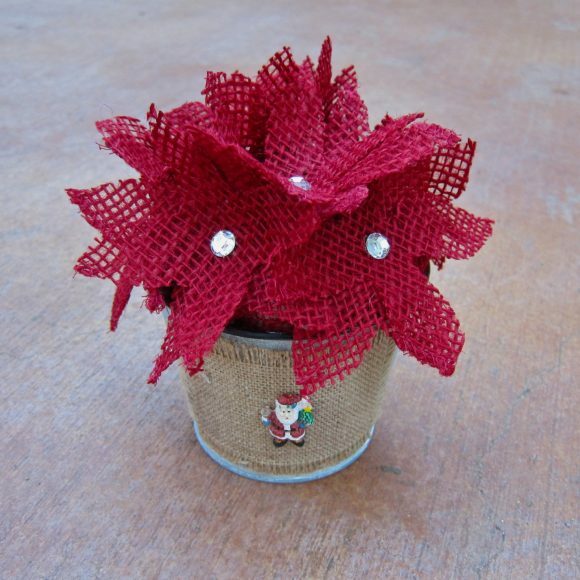 I love this red burlap, and the color is what inspired me to make poinsettias. 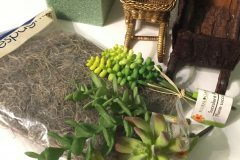 If you want to make this centerpiece for Thanksgiving, you could use natural burlap instead, like I did with the centerpiece pictured below. 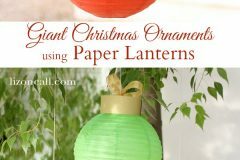 This is such a quick, inexpensive project that you could easily make them in lots of colors, and just swap out the burlap flowers as the seasons change! Very very cute. Nice job. 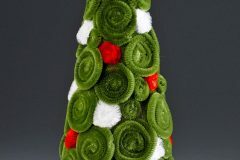 Pingback: New Crafty Ideas! | CraftyChica.com | Official site of award-winnning artist and novelist, Kathy Cano-Murillo. 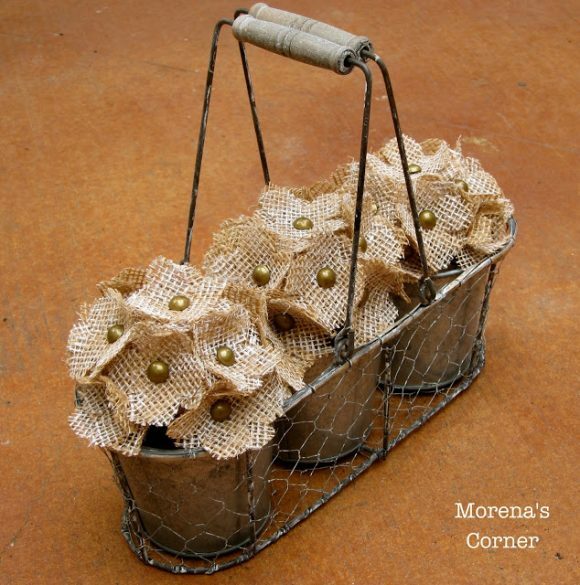 How did you make the smaller burlap flowers that are in the basket?